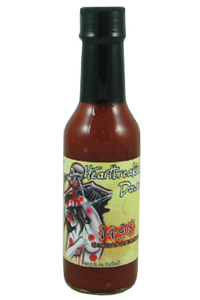 Heartbreaking Dawn's 1498 Trinidad Scorpion Hot Sauce is made from the world's hottest pepper, the Trinidad Scorpion Pepper, and then balanced out with Scotch Bonnets and natural ingredients. 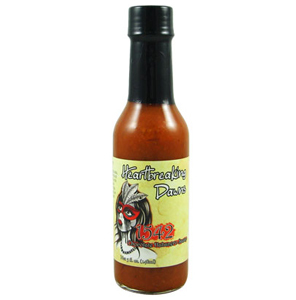 Experience the booming flavor and heat of the Trinidad Scorpion pepper mellowed out with the forgiving flavor of the islands! So good I went through the bottle very quickly. It's got a fruity and sweet taste in addition to the heat. Mild by Mo Hotta standards but delicious!